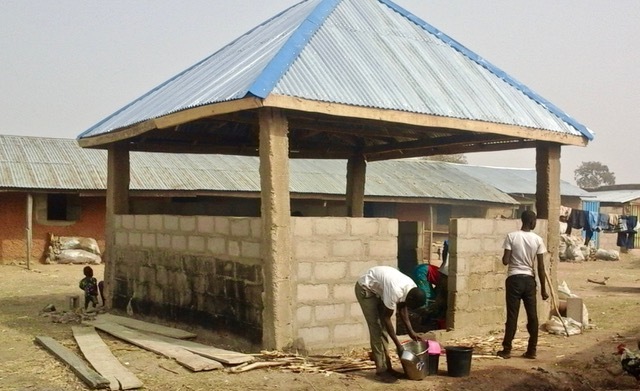 A church planting team in Katsina State founded an evangelism school in the village of Gidan Ahmadu. The students make their livings by farming in their home areas during the rainy season, and in the dry season when they can’t farm they move to Gidan Ahmadu to study how to share their faith. The school has only very basic facilities, and one of their biggest problems was the lack of available water. Students had to walk a long way to obtain water for drinking, cooking and washing. Cooking was done outdoors in the open. Rev. Markus Giwa, the school’s director, brought these conditions to the attention of NFW in 2017. NFW granted funds for the drilling of a borehole well and pump, and a kitchen shelter where students can prepare meals while protected from the sun and weather. Rev. 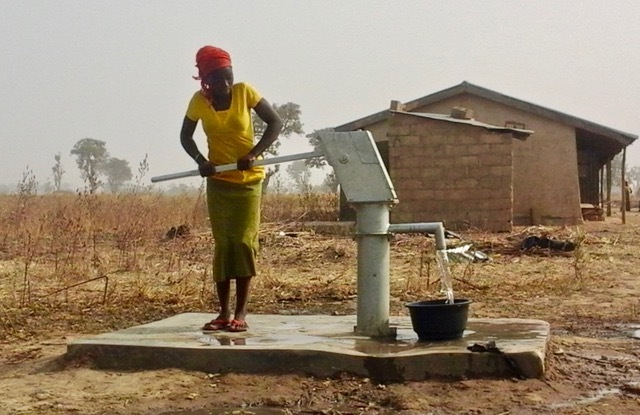 Giwa supervised the construction and the drilling of the well. The students built the kitchen shelter. Now all those at the school have a convenient source of water for all their needs, as well as a protected place to prepare their meals.